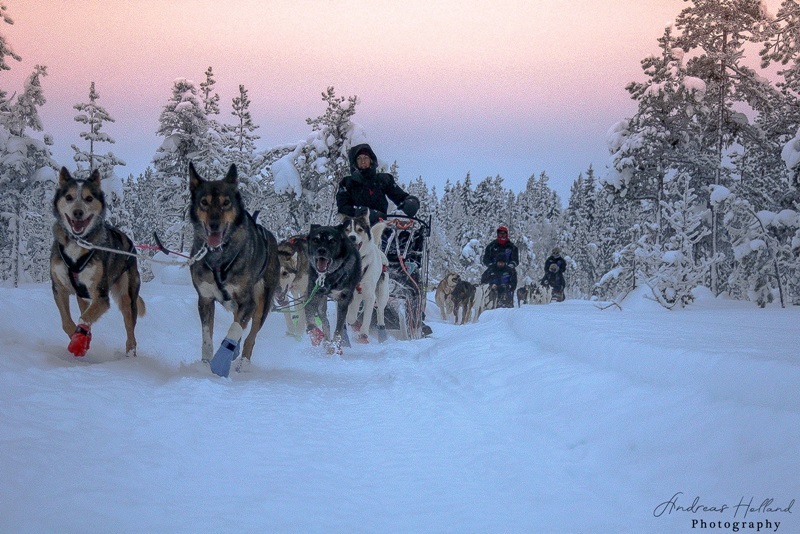 Experience our arctic winter landscape from a dogsled, a close encounter with animal and nature! It all begins at a high energy level, all is expectant, a bit nervous and tensed, the dogs are excited and eager to get going and do what they love most RUNNING. 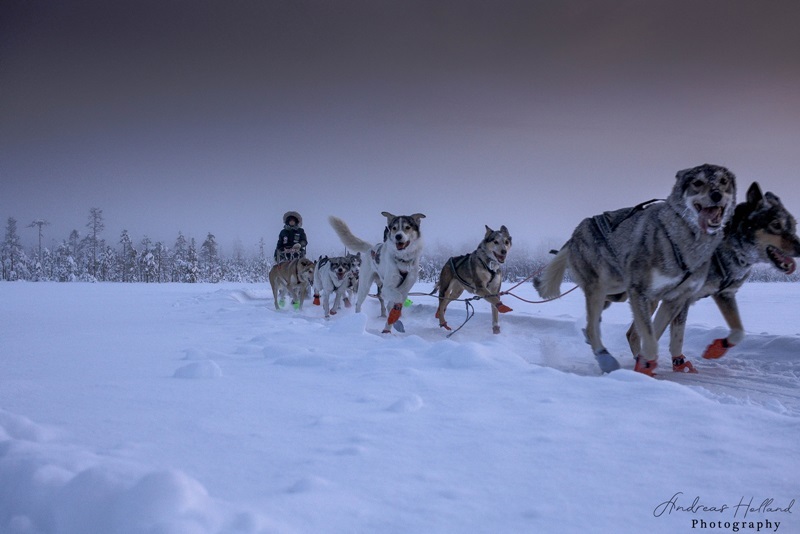 But as soon as we are off all becomes quiet, tenses releases and we can enjoy the surroundings and become impressed over the dogs eagerness to work. All we hear now is the sleds runners against the snow and the dogs panting. 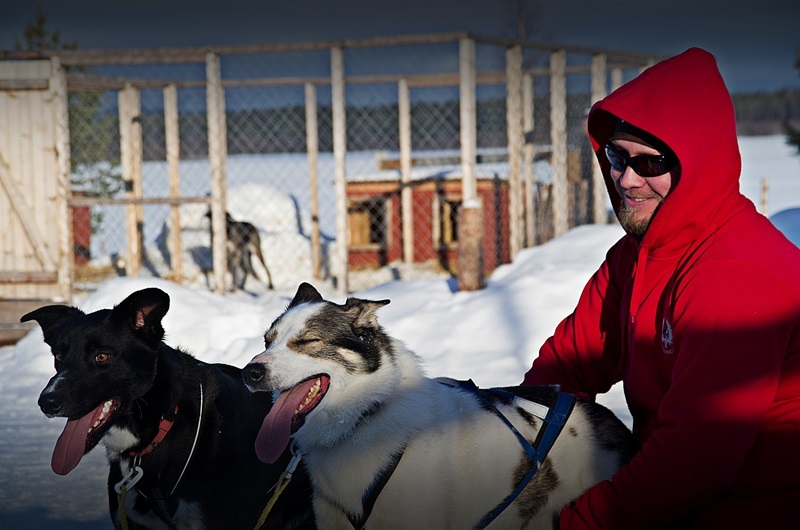 Here follows various short dogsled tours that varies from one hour up to a full day. If you have other requests or bigger groups don’t hesitate to get in touch with us, we will put together a program according to your wishes. Given prices is for groups of min 2 max 10 persons, if nothing else is said, bigger groups according to agreement. Children under 12 years is riding on the sled at 50% reduction of the price. Please note that given duration of the tour is only an approximate time in normal conditions, weather- and trail conditions as well as the groups’ level can have an effect on the tours length. 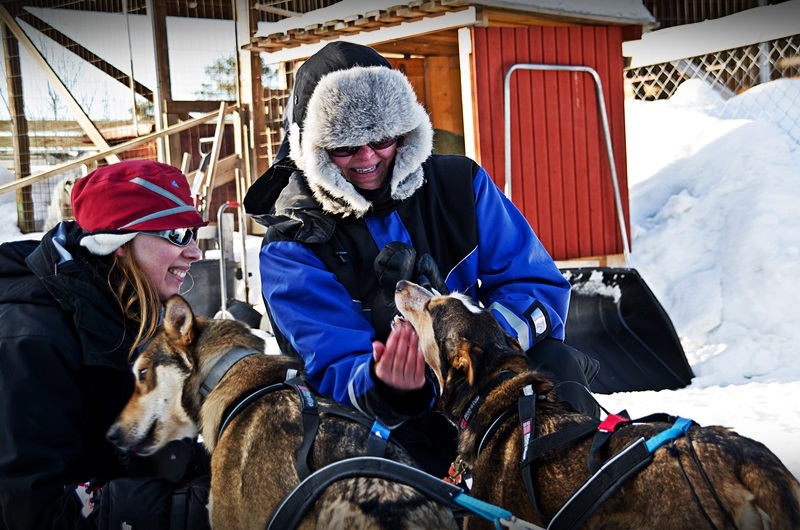 Dogsledding – The ultimate winter experience north of The Arctic Circle! 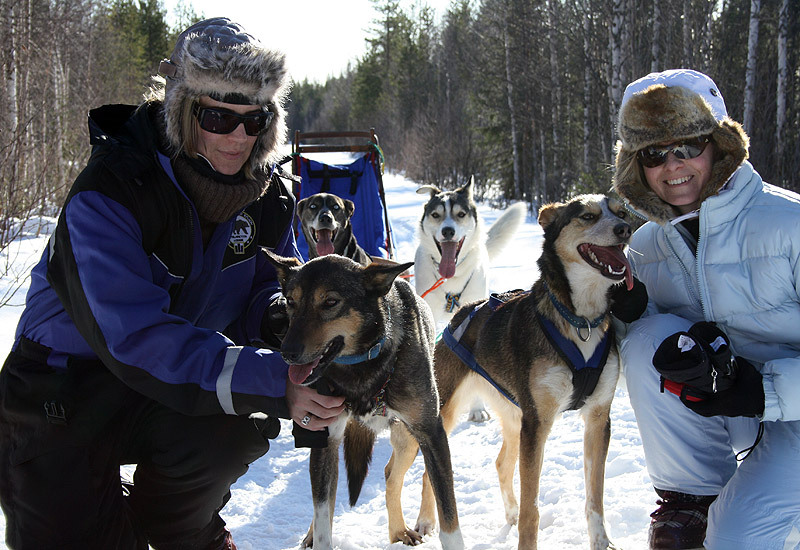 Here follows various programs for the longer more adventurous dogsledding tours. You can go in on each program below and for a more thorough description. Given prices is for groups of min 2 max 8 persons, if nothing else is said, bigger groups according to agreement.